Fig1. 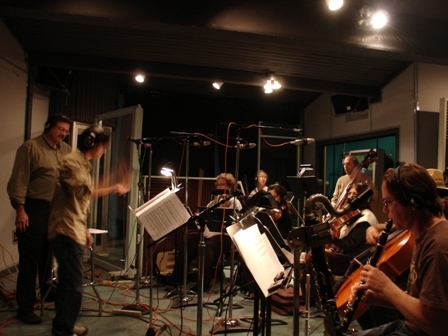 Luan Hoang is conducting one of his film scores at Private Island Trax Studio, Hollywood (11/2007). Fig2. With film music composer Craig Stuart Garfinkle at Private Island Trax Studio A, Hollywood.